Compressed air is normally saturated with moisture in the form of water vapour as well as aerosol, and this needs to be removed to prevent problems further downstream at the point of application. 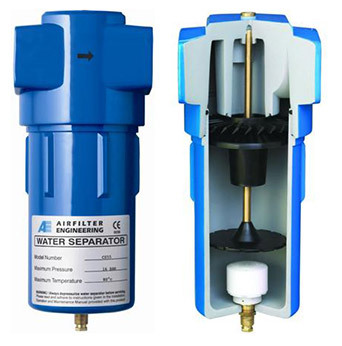 AFE’s water separator is specially designed based on the proven centrifugal separation to remove up to 99% of the water aerosol in compressed air. 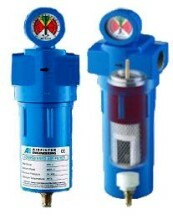 Working in conjunction with other compressed air treatment products like filters, after-cooler and dryers, the water separator is very cost effective way of further enhancing their efficiency by ensuring that bulk water generated in the compressed air is properly separated and discharged from the system.